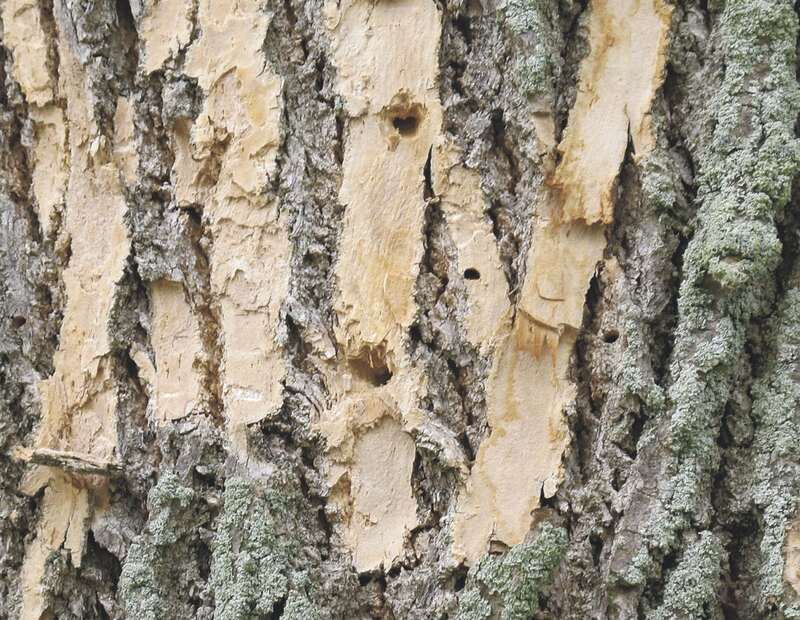 Times Observer photo by Brian Ferry Discolored ash bark is a tell-tale sign of emerald ash borer infestation. 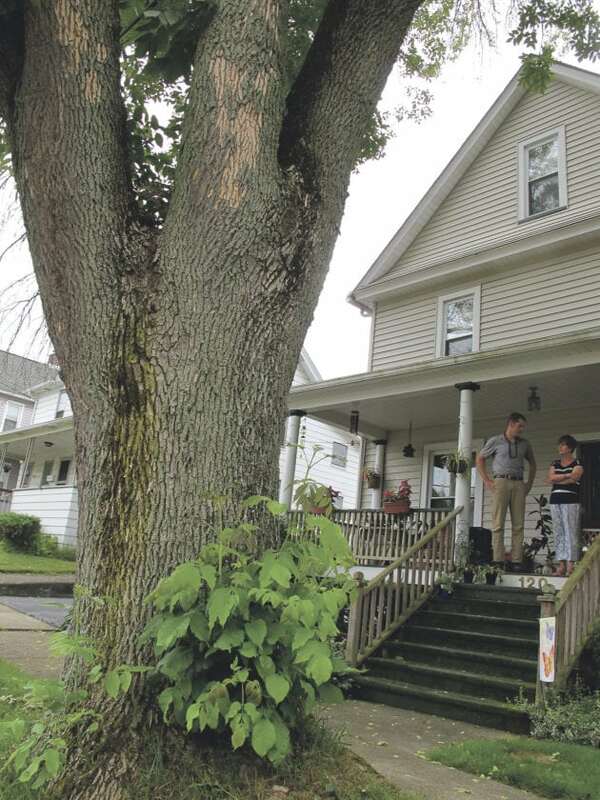 There are a number of threats facing the 2,700 street trees in the City of Warren — webworms, Japanese beetles, verticillium wilt, emerald ash borer, cultural scorch, girdling, and just plain dry weather. In 15 years in the tree industry, City Arborist and Department of Public Works Superintendent Joe Reinke has seen them all. “The more harmful factors you throw into the equation, the more problems you’re going to see,” he said. With hot, dry weather for a month, the trees are showing problems. “We take care of the tree if it falls within the city right-of-way,” he said. Times Observer photo by Brian Ferry City Arborist Joe Reinke speaks with Helene Snyder of Russell Street about the ash tree in front of her house. The tree is infested by emerald ash borer and will be removed. Mostly, that means between the sidewalk and the street. But, in some areas, the right-of-way is wider and there are city trees on the other side of the sidewalk. On Tuesday, Reinke visited a number of trees that had been reported by residents around the city. Sometimes, residents see a tree and think it is dying, but it’s only sick. “It’s my job to diagnose it,” he said. 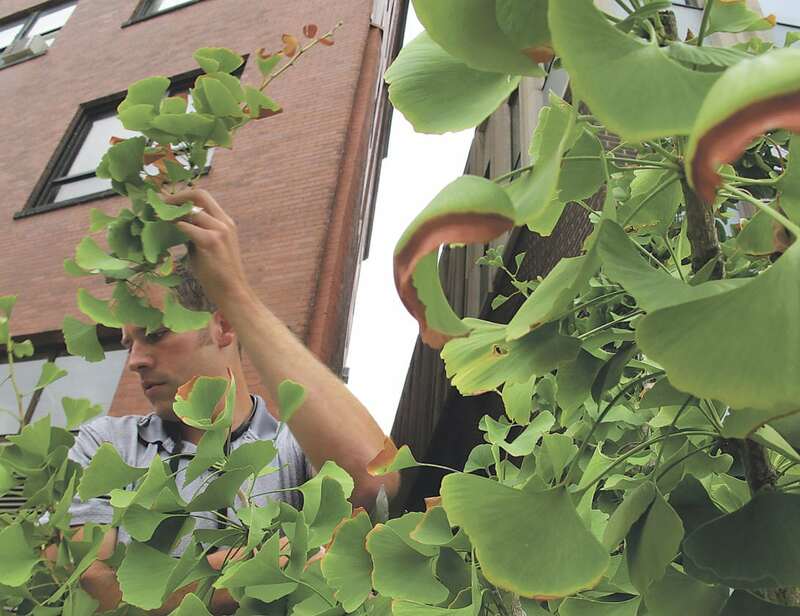 Times Observer photo by Brian Ferry City Arborist Joe Reinke prunes branches from a gingko on Pennsylvania Avenue. At Crescent Park, Reinke looked over a crabapple tree with some kind of creatures making webs or tents in them. Knowing which species — bagworms, webworms, or tent caterpillars were all possibilities — was less important than knowing the treatment. Reinke pruned the branches with the webs on them. He inspected the tree, but saw no beetles, explaining that the way to handle a beetle infestation is to pick them off by hand. Nearby trees did not have the same problems. On Pennsylvania Avenue, Reinke pruned several branches and portions of branches from a ginkgo. He said the signs pointed to verticillium wilt — a fungal problem — or bacterial wilt. “Verticillium lies dormant in the soil and is taken up into the tree’s xylem,” he said. He used anti-bacterial wipes on his pruning shears between each cut to prevent spreading bacteria to any healthy areas of the tree. String trimmers and lawn mowers are the enemy of young trees, he said. A large Norway maple on West Street was in pretty good shape for its age. 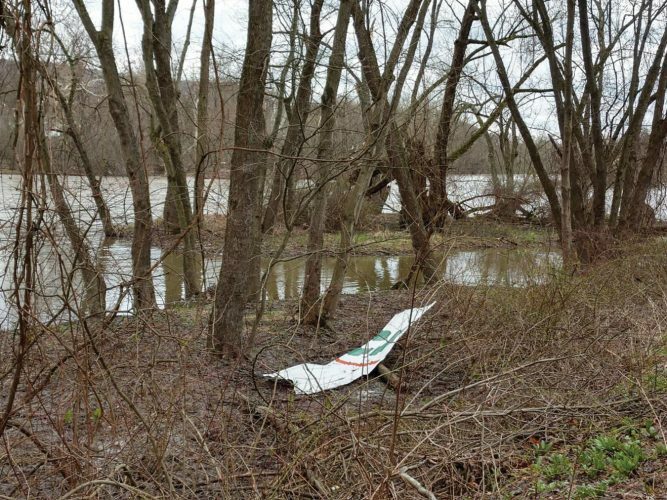 He looked for dead branches, fungus and mushrooms — sure signs of rot — and other problem indicators. Other than age, the tree was healthy. A large tree on Russell Street was not. Reinke did not even bother to look past the trunk before making a decision. The white ash was clearly infested by emerald ash borer. Unlike most of the problems trees can have, emerald ash borer spells almost certain doom for ash trees. There are more than 100 ash trees on the city’s inventory and Reinke expects all of them to die of the invasive insect’s effects if they are not removed first. Reinke said he would get paperwork to the property owner regarding removing, and hopefully replacing, the tree. About half of the tree calls Reinke has received over the past year have had to do with ash trees, he said. Property owners who opt to have trees replaced will get a species that is appropriate to the space. 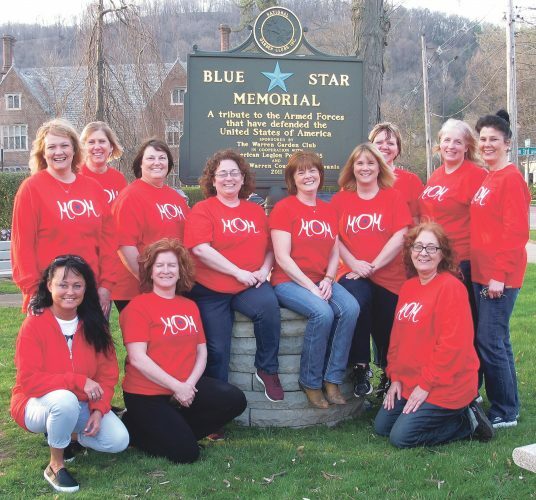 “It’s all about putting the right tree for the right spot,” Reinke said. The amount of dirt available for a tree and overhead wires will be taken into account. Residents who have concerns about their trees are welcome to contact Reinke.